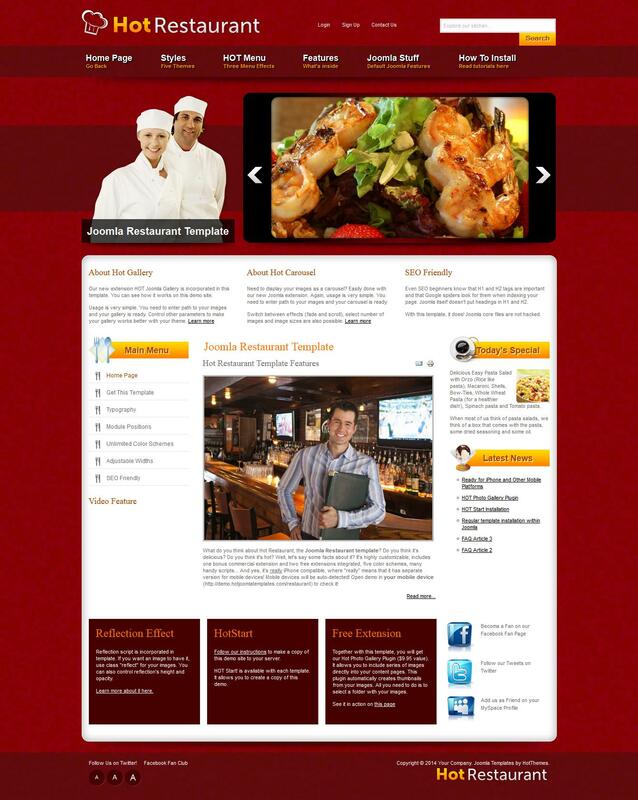 HOT Restaurant - excellent restaurant template theme developers HotJoomla. Among the advantages of this template is worth noting SEO optimized code files, support for displaying mobile version of the site on mobile devices and the ability to customize any color scheme through the built-in tool in the template parameters. In the assembly includes studio expansion Hot Photo Gallery plugin, Hot Joomla Carousel module and Hot Joomla Gallery, which provides a flexible and stylish display of images on the site.